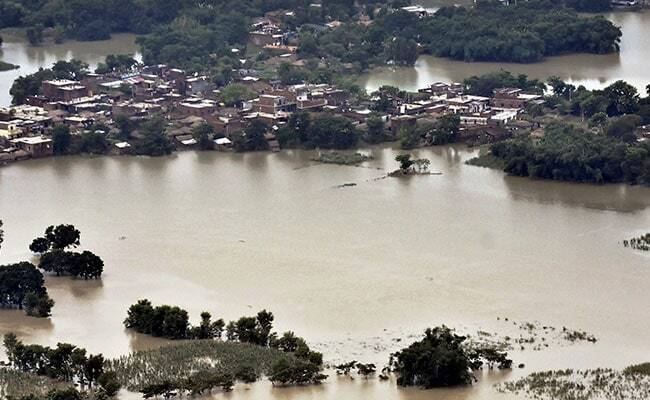 The Prime Minister conducted an aerial survey of four flood-hit districts of Araria, Kisanganj, Katihar and Purnea. Chief Minister Nitish Kumar and his Deputy Sushil Kumar Modi accompanied the Prime Minister. Deaths mounted to 440 in the devastating floods in Bihar where 1.71 crore people have been affected in 19 districts, as Prime Minister Narendra Modi today announced an immediate relief of Rs 500 crore. The flood waters, however, receded in some places, prompting many to return to their homes. The number of relief camps also dropped to 262, in which 1.65 lakh people were staying, a release by the disaster management department said. Araria district alone accounted for 95 deaths followed by Sitamarhi 46, Katihar 40, West Champaran 36, East Champaran 32, Darbhanga 30, Madhubani 28, Madhepura 25, Kishanganj 24, Gopalganj 20, Supual 16, Purnea 9, Muzaffarpur 9, Saharsa 8, Khagaria 8, Saran 7, Sheohar 5 and Samastipur 2. No deaths were reported from Siwan. A total of 2.74 lakh people were being served food at 1,114 community kitchens operational in the marooned areas of the state, the release said. Twenty-eight National Disaster Response Force (NDRF) teams comprising 1,152 personnel with 118 boats are taking part in rescue and relief operations, it said. Apart from the NDRF, 16 teams of the State Disaster Response Force comprising 466 personnel are helping people in the flood-hit areas with 92 boats. A total of 630 Army personnel in seven teams are assisting in relief and rescue operations with 70 boats, the release added. The Prime Minister arrived at Purnea this morning and conducted an aerial survey of the flood-hit areas. He announced Rs 500 crore as immediate relief for the state besides Rs 2 lakh each to the kin of those who died in the deluge. The state weather office has forecast rain in Patna, Gaya, Bhagalpur and Purnea tomorrow.